I don’t want to teach you how to win Golden Demon, my goal is to help you finish your army. Almost every gamer have most of his collection in bad shape and it’s a waste of huge potential. I want to put all my knowledge about painting miniatures in one easy accessible place. I want to create site which will teach people how to paint miniatures in the most effective way possible. I want to focus on painting whole armies. There is a lot of sites teaching how to paint contest wining miniatures. I think it isn’t the point for most gamers. Painting miniatures is hard enough without mismanagement. We’ll use some advanced techniques, but I’ll show you how it’s applicable in creating your army, not only on a single miniature. My name is Mateusz Bermes, I’m 26 and I’m from Poland. At the moment I’m active Warmachine player, but I played many systems like Warhammer Fantasy Battle, Warhammer 40k and few others. I started painting miniatures before High School and it became my hobby for next few years. I became a decent painter, I even managed to won silver Golden Demon in 2007. 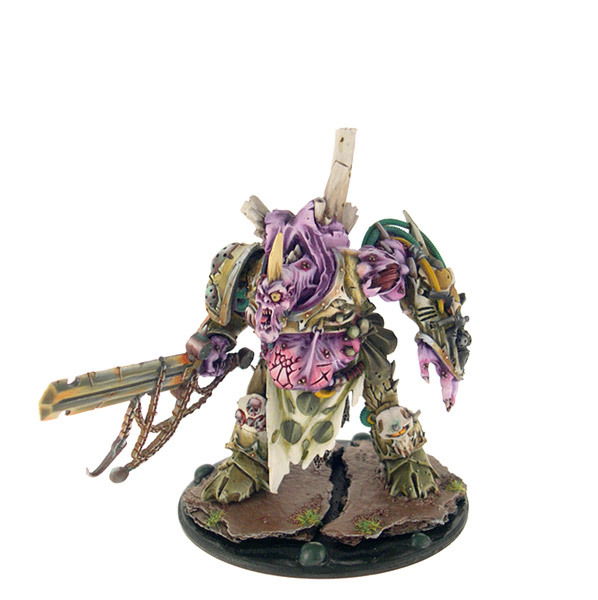 I got it for Nurgle Daemon, which is quite ugly on today standards. I was sharing a lot of my works with on line communities and it got me hooked. During few last years of college I decide to start my first small business around painting miniatures. I created Jolly Roger Studio, now it’s quite successful miniatures painting studio. It learned me a lot about creating good-looking armies and managing a business. I got my degree in economics and now JR Studio is my full time job.